We’ve all been there. One day your avocado is a rock, and then before you know it, it’s a mushy grey ball. What seems like a brief window of perfect ripeness comes and goes so quickly, it’s easy to miss. What can you do when the whole bag is suddenly ripe all at once and you can’t possibly eat them all before they go bad? Keep reading to find out! When we saw this avocado saving hack on Well + Good last week, (via @leefromamerica ‘s Instagram stories)we knew we had to share it. Lee mashes up the ripe avocados and presses them into a silicone icecube tray to freeze for later use. Drop a cube into a smoothie, or thaw it to spread on a sandwich. Be sure to wrap it well, pressing the plastic wrap right onto the avocado mash to help keep it airtight and prevent browning. That’s one less avocado for the compost bin, and more to enjoy ” on demand”! We love avocados. They are a great source of healthy fats,vitamins and minerals, are rich and creamy and work with a variety of flavor profiles. Often, when we visit the store to buy them, they are hard as a rock, or so mushy, they have practically turned to guac on their own. If you can’t find the perfect, ready to eat avocado, there is still hope to be able to enjoy one with this instant ripening technique. Wrap the too hard avocado in aluminium foil and bake in a 200 degree oven for about 10 minutes until it reaches the desired level of softness. Extra hard fruit may take a little longer, and “not too far from ripe” ones, may take less. Once it reaches peak perfection, peel, remove the pit, and enjoy! Fresh roasted cod, and a bright mango, avocado salsa were a welcome change from the usual ground beef and guac version. A quick trip to Whole Foods with nothing in mind provided inspiration for this creation. The cod was on special at the fish counter, and the first display in the adjacent produce area featured avocados and mangos, sitting right next to each other. It didn’t take much more than that to get my thoughts racing. A little cilantro? Perhaps some ginger? Definitely lime juice! Season any meaty white fish with salt, pepper, ground cumin and a drizzle of olive oil. Squeeze some lime juice over it and broil it until the flesh is opaque and the fish is flakey. We used cod, but tilapia, halibut or mahi mahi would work equally well. Peel and cut 1 mango and 1 avocado and put it in a bowl. Add a little finely minced fresh ginger, and a handful of chopped cilantro. Squeeze the juice of a lime over it and mix. We added some black pepper and some cayenne pepper, but if you prefer, you can dice a little fresh jalapeño instead. If you don’t have a raw onion hater in the house (that would be me! ), add some finely diced red onion to the mix. To serve, place the fish and the salsa on a warm whole grain tortilla. We added a little toasted pinenut cous cous, roll it up, and enjoy! We’ve written about food waste here before, even documenting a weeks worth of efforts in trying to reduce ours. So often, the parts of our food that we discard are among the healthiest. We, and every other food writer and healthy eating guru has waxed poetic about the glory that is an avocado. The versatile fruit is delicious, sliced, diced, and smashed. Avocado toast acheived cult-like status in last year, and it can even be used as a substitute for butter in vegan baked goods. 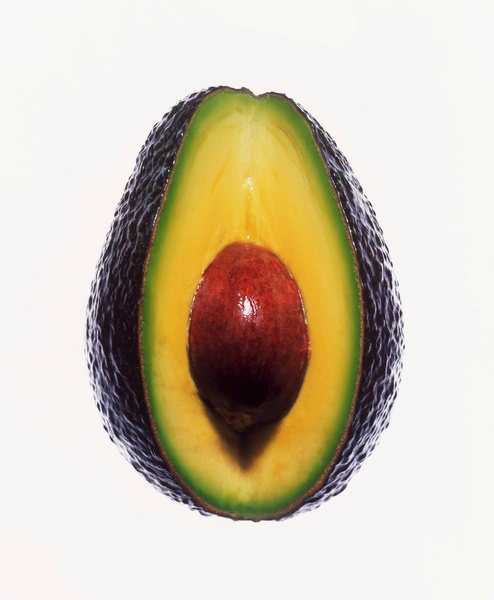 But did you know that the seed contains over 70% of the avocado’s antioxidants? Neither did we! To reap the benefits, place the avocado pit into the food processor and grind it into a fine powder. 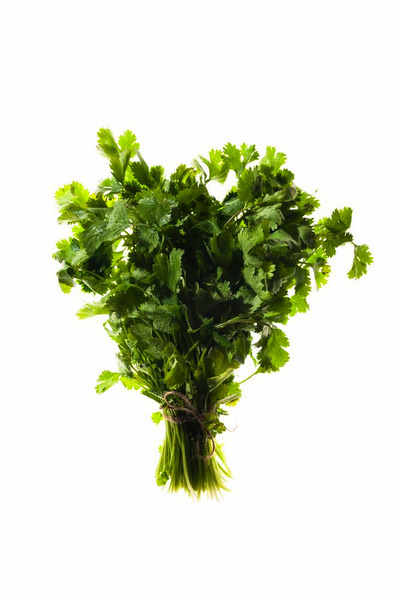 Add it to your morning smoothie, or sprinkle on oatmeal or add to salad dressing for a jolt of antioxident rich fiber. To read more on this subject, head over to One Green Planet. We all love avocados. They are a source of healthy fats, yet taste creamy and decadent. They can even be a substitute for butter in some recipes. But what do you do if you are craving avocado and they aren’t ripe yet? We’ve all been there…the pile in the market is heaping with either rock hard avocados, or they have already turned to guac. No worries, you can ripen it in the oven. Peel and slice the avocado, toss it in lemon juice and a little salt. Bake at 300 degrees for about 10 minutes, or until it starts to soften. Take care not to over-do it, and enjoy! 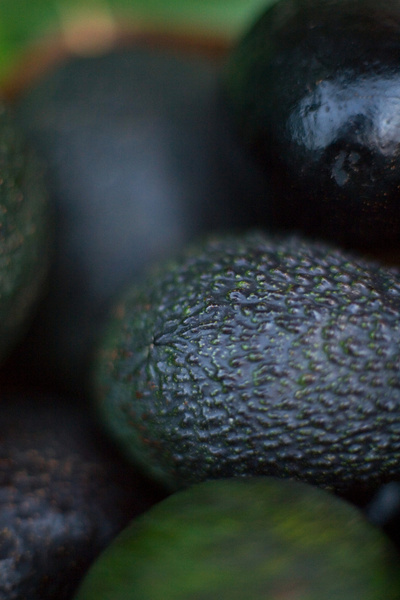 The world seems to be having a love fest with avocados. Everywhere you look there are recipes, menu items and articles about their health benefits. If the outrage towards the New York Times article last week suggesting the use of peas in guacamole is any indication, we Americans take our avocados very seriously. Even President Obama got into the act, taking to his Twitter account to let them know that peas were not an acceptable addition to his guac! The only problem we can find with the creamy green fleshed fruit, is keeping it that way. 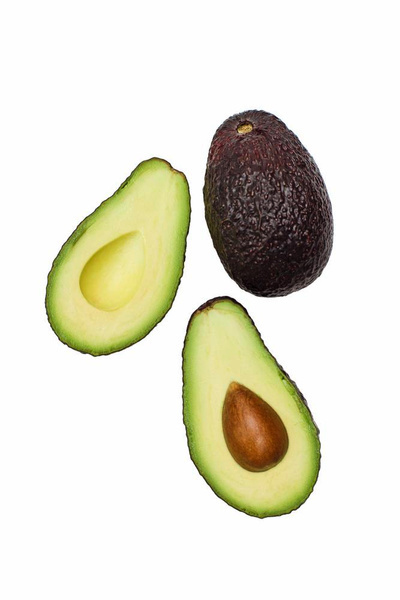 Avocados go brown quite quickly when exposed to air. There are lots of ideas about what keeps the guac green, and how to store leftover avocado, once it has been cut. Some work better than others. 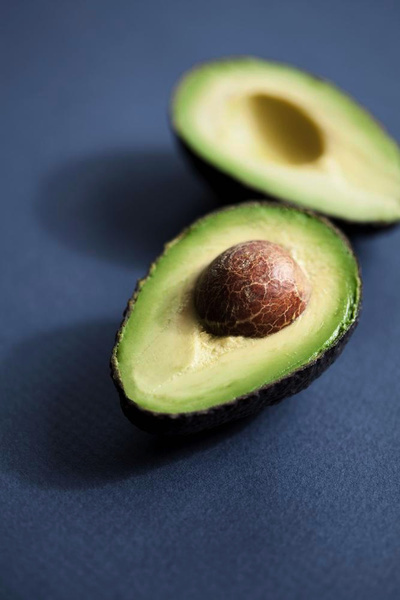 While we have written about some of these from time to time, here is a comprehensive guide to keeping avocados from going brown. Lemon juice: The acid in lemon juice has been known to keep avocados from turning color. Squirt a liberal amount over the exposed flesh, and hope for the best! Onions:Others advise placing the avocado in an airtight container with cut onion. Keep the flesh of the avocado away from the onion to avoid it picking up the flavor. Once the container is sealed, the vapors emitted from the onion should keep the avocado from changing color. Leaving in the pit is another way to go. This protects most of the avocado, but the area surrounding the pit does start to go brown. Placing plastic wrap directly on the avocado or guacamole is another alternative. Supposedly, it protects it from the air in a way that just covering it doesn’t. Food 52 recommends brushing the exposed area with olive oil as another way to keep it from oxidizing. Some people swear by removing the pit and placing the flesh side flat on a plate before covering it. Many place the avocado into an ice water bath. Place the cut side into the cold water, cover and refrigerate. One person claims that pickle juice is the answer. While this may just work, your avocado will taste like a pickle. We’ll pass on this one. Lastly, the very best way to keep an avocado from oxidizing, is to eat it! Today, I officially got tired of my regular repertoire of vinaigrettes. I have been making them for so long, that I was craving something with a little more texture to pour over my greens. We love avocado, so it was only fitting that I used it to create a creamy, flavorful dressing without any eggs or mayonaise. 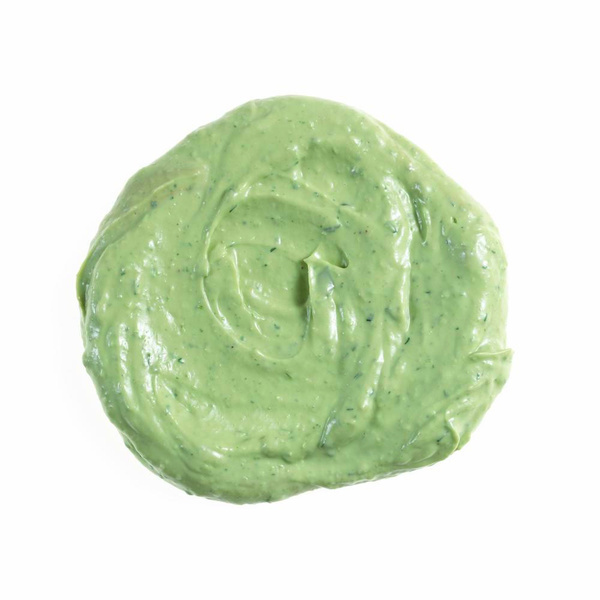 You can use a blender, food processor, or immersion blender to make this silky smooth avocado dressing in a matter of minutes. 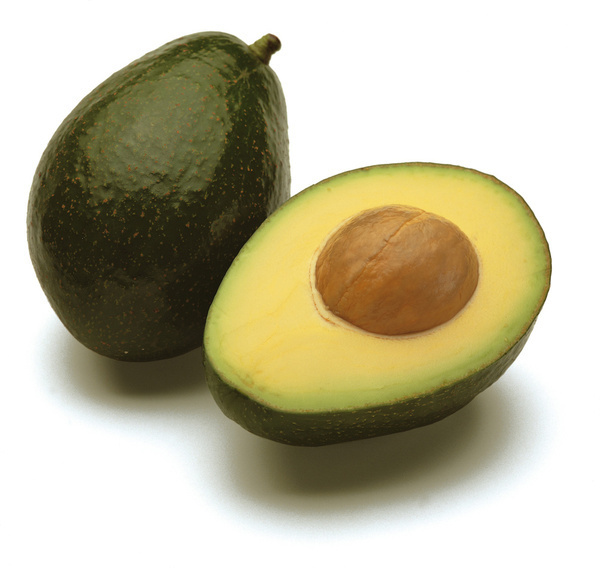 Scoop the flesh out of a ripe avocado and discard the skin and pit. Add the juice of one lemon, and a small clove of garlic, and puree. Drizzle in olive oil until the dressing smoothes out and becomes thin enough to pour over a salad. Add salt and crushed red pepper to taste, and enjoy on top of the salad of your choice. To customize this basic dressing, add fresh herbs, such as parsley or cilantro and puree them until they are mixed into the dressing. We love avocados. They taste great, and they provide a dose of healthy nutrients, such as potassium, folate and vitamin C, among many others. The monounsaturated oleic acid in them is heart healthy, and can help lower triglycerides and cholesterol. When shopping for avocados, it is important to find them when they are perfectly ripe. It is often frustrating to go through a pile at the produce market only to find them hard as a rock, or so soft they are practically guacamole already! We know the hard ones need a little more time, but what about the soft-ish ones that disappont us when we cut them, only to find them riddled with dark spots? Those are over ripe, and past their prime. How do you tell when it is “just right?” Here is an easy trick to assess the ripeness of an avocado without cutting into it. First of all, squeeze it gently. The flesh should yield slightly, but not be too soft, or too hard. Next,take the little brown nob at the top of the avocado and flick it off. If it is hard to remove, the avocado isn’t ripe yet. Leave it ripen for a couple of days and you’re good to go. 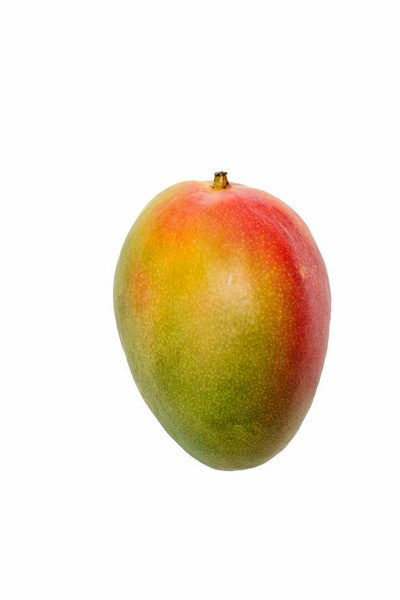 If it comes off easily but reveals a dark spot underneath, it is over-ripe. Leave this one behind. If it comes off easily, and there is a beautiful green hue peeking out at you, you have found perfection! That means the avocado should be green and unblemished inside. Bring this one home and enjoy it! Over the holidays, we have somehow become addicted to avocado toast. Maybe it’s because it’s so easy to make, maybe it is because we think it’s healthy, maybe it is because it is so satisfying and comforting, but most likely it is because it tastes so good! We have been making it on mini slices of toasted baguette as an appetizer, but you can use whatever type of grainy, delicious bread you have and make a meal of it. Brush slices of bread with olive oil, and sprinkle it with sea salt. Toast it in the oven until it just starts to brown. Watch is carefully, as bread goes from barely brown to burnt pretty quickly! In the meantime, mash up a ripe avocado and mix it with the juice of 1/2 of a lemon, sprinkle it with some red pepper flakes and a little sea salt to taste. Spread the mixture on the toasted bread and devour enjoy! Get creative with it: Rub a garlic clove on the bread before toasting to give it a little more flavor. Sprinkle some diced tomatoes on top for a little extra color. Mix in a few chia seeds for some added health benefits. Serve with a poached egg or some smoked salmon and make a meal out of it! It’s back to school time, and young people across the country are settling into a new routine. For many college students, that means a steady diet of fast food, and it’s not just the dreaded “freshman 15″ that should cause culinary concern. We have all heard the adage ” You are what you eat,” but did you know that certain foods can improve your studying ability, help you sleep better, and beat stress? 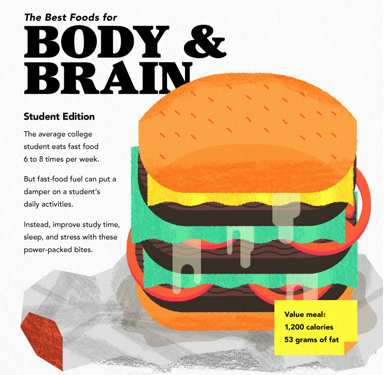 Our friends at The Best Colleges, have shared this great info graphic with us, to show you the power foods that help you be at your best. The average college student eats fast food a whopping 6-8 times per week! These calorie bombs not only expand your waistline, but they decrease your concentration as well. Fish has been shown to enhance your memory. Get your omega-3’s in fresh fish or fish oil supplements to increase reaction time by 20%. 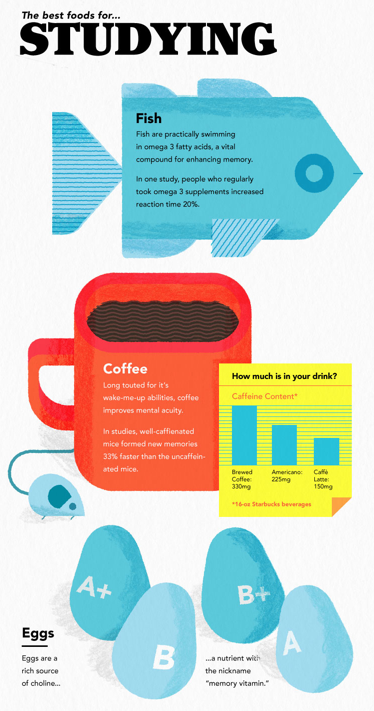 Caffeine not only wakes you up, but also improves your mental acuity. Eggs provide choline, which is nicknamed the memory vitamin. Start your day with scrambled eggs, smoked salmon and a hot cup of joe to get the most out of your study session. A good night’s sleep is key to performance. Cherries contain melatonin, which regulates sleep. Bananas are rich in tryptophan, which helps the body produce calming hormones. The magnesium in almonds also promotes muscle relaxation. 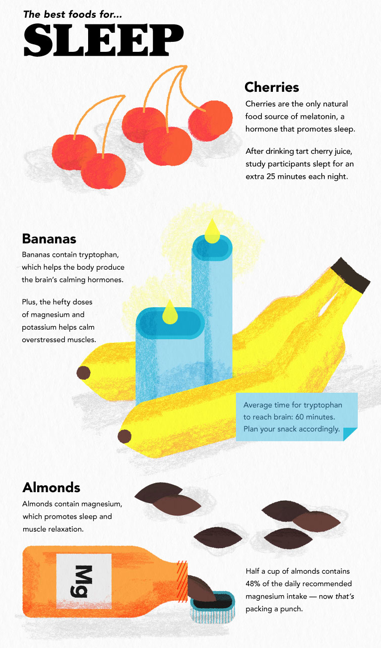 Snack on cherries, bananas and nuts about an hour before bed to ensure a restful night. School can be stressful, and these stress busters will help you get through the difficult times. Dark chocolate lowers blood pressure and its caffeine content keeps you sharp for long study sessions. 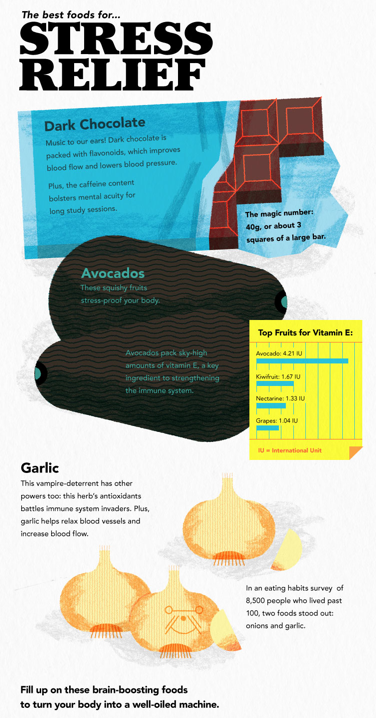 Avocado is just one of the fruits that help bolster your immune system, keeping you healthy throughout the school year. While eating garlic and onions is not the best recipe for a great social life, these antioxidant filled flavorings protect the immune system and increase blood flow. Add a little avocado to your salad or sandwich, as well as some garlic and onion rich foods like hummus, guacamole or salsa to stay healthy. The right nutrition can make a big difference in your health, as well as your grades. Fuel up properly to get the most out of your education.